Bumblebees are familiar to most people, but not all aspects of their ecology are well understood. We combined genetic, spatial and statistical analyses to show that the year-on-year survival of bumblebee family lineages is positively linked with local habitat quality. Here's the story behind how we did it. Bumblebees are among our best loved and most widely recognised insect pollinators. 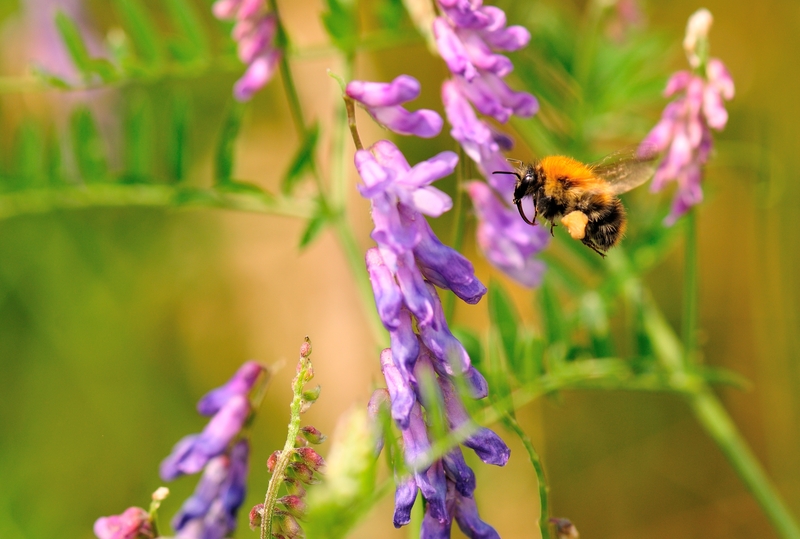 It's therefore no surprise that many people, from gardeners to policy makers, are passionate about managing land in a way that benefits bumblebees and helps reverse declines in their populations. However, remarkably, we lack an understanding of some of the basic and fundamental aspects of bumblebee ecology. Part of the problem is that bumblebees have a complex annual life cycle, much of which takes place in a nest concealed underground or in dense vegetation and so cannot be easily observed. In 2009, a team of scientists from CEH (Claire Carvell, Matt Heard), University of East Anglia (Andrew Bourke) and the Institute of Zoology (Seirian Sumner, and the late Bill Jordan) devised a research project that aimed to reveal some of the previously hidden details of the ecology and genetic structure of queen and worker bumblebees, and their relationships with habitat variables, such as the availability of flowers. This project was funded under the UK Insect Pollinators Initiative in 2010. 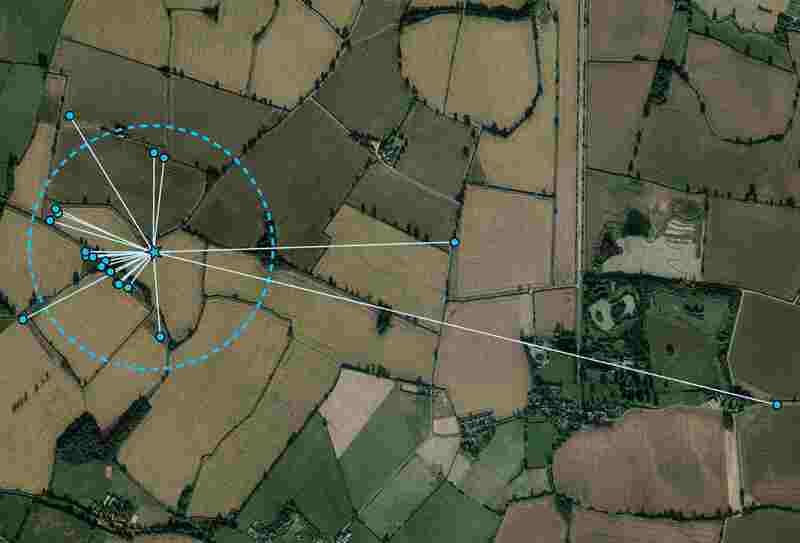 It was an ambitious task: the project aimed to collect data from wild bumblebees over the entirety of a 20km2 farmland landscape in central England. Recently developed molecular genetic techniques would then be used alongside spatial analysis and statistical modelling to link bumblebee family relationships to their ecology and habitats. To succeed, the project would have to bring together expertise on field survey, bumblebee ecology, molecular genetics, statistics and spatial ecology. I joined the project team to handle the spatial analysis. This was an exciting this opportunity, as I'd previously worked on the study landscape and with its existing high-resolution aerial remote sensed data, which provided detailed mapping of every distinct habitat parcel in the landscape. After two years of planning and pilot studies, a dedicated team of expert field surveyors, armed with nets, sample tubes and freezer packs, systematically searched the study landscape for bumblebee queens (in spring) and workers (in summer). Over 2011 and 2012, a total of nearly 3400 bees of 5 different species were captured, their locations recorded, and a small DNA sample taken, before being released to go about their business. On the inevitable days when the weather was too cold or windy for bumblebees to be active, the field team surveyed each of the 2500 parcels of the habitat map and recorded bumblebee forage plants and nesting sites. It was easy to appreciate the hard work going into collecting the huge volume of data required, as the field team returned with tales of dramatic captures on the wing and increasingly weighty stacks of densely-annotated habitat maps accumulated on my desk. Each season of bumblebee sampling was followed with months of genetic analyses. From tiny fragments of DNA extracted from each sample, the secrets of family relationships between every pair of sampled bees were revealed. These allowed us to link groups of sister workers from the same colony. My job was then to use spatial analyses of these data to estimate colony locations, worker forging ranges, and to quantify habitat variables from the surroundings of the colony. From the workers sampled during summer 2011 we were able to investigate the fine-scale spatial genetic structure of the bumblebees in our study landscape (Drier et al. 2014) and to examine the impact of habitat composition on worker foraging distances (Redhead et al 2016). But there was a surprise in store when genetic analyses were conducted across all our sampled bees from both years. Excitingly, we had detected sets of sisters between workers from one summer and queens from the following spring (which would have been raised within the same colony). Moreover, we even detected mother-daughter relationships between queens in consecutive years! These data were the first of a kind, allowing us to link colonies which had produced viable queens in one year to those queens which then survived winter hibernation to emerge in the spring the following year. This led to the paper now published in Nature. By creating statistical models of the probability of year-on-year survival we were able to demonstrate that survival of a bumblebee lineage from one year to the next was significantly related to the coverage of both spring and summer flower resources in the surroundings of the colony. This shows that agricultural landscapes must provide year-round resources if they are to be truly beneficial for their resident bumblebee populations. These findings are applicable to anyone wishing to manage farmland, or indeed their own back gardens, in a bumblebee-friendly way.